Cities are ever-changing aggregations of human processes fuelled by industrialised capital. As development flows into and through places of low resistance, it can overrun communities and sweep away meaningful human connections. Even as we strive to build more human cities, we can find ourselves complicit in this erasure. In this workshop, around Table 15, Trena Noval and I sought to draw out hunches, half-formed proposals, ideas hovering in peripheral vision and, as yet only partially understood ideas about what we might do to better connect us to each other and to the land that holds us; and how we might shift economic and social norms to forms of exchange that prioritise care and stewardship. 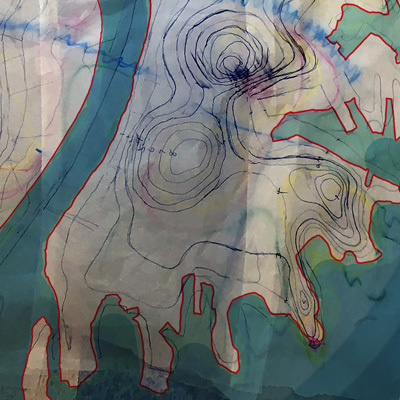 Uncaptured Land: Observation and Conversation at the Albany Bulb. Does the Land have Power? Northern California-based artist Trena Noval and I presented this explorative conversation as part of the monthly Love the Bulb events curated by Susan Moffat. In the ever-changing histories that play out along the shores of San Francisco Bay, the construction debris landfill known as the Albany Bulb has so far escaped multiple attempts to capture and enclose it. What is the nature of this unusual land’s power? Starting from the premise that land has power, we led twenty participants through an experience of listening, pooling impressions, sharing knowledge and generating new narratives within this surprising landscape. 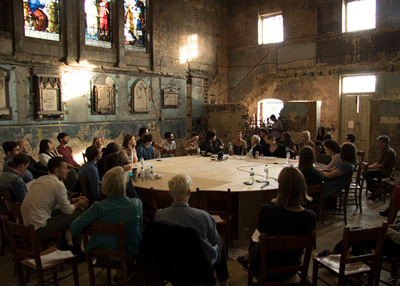 Table 18 was featured at Theatre of Speaking and Reading part of the RCA Research exhibition. 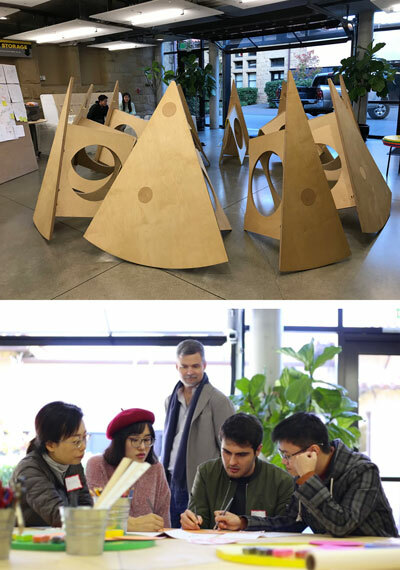 As artist in residence in the Department of Comparative Literature at the University of California Berkeley during February and March 2017, Carol Mancke will create an installation in the department’s newly opened Media/Maker Lab space and curate a series of workshops and performances with students, visitors and staff that experiment with different forms of conversation and collaborative thinking. 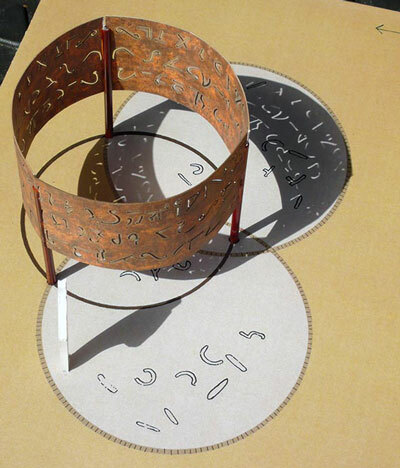 Read more about Dialogue and Round. 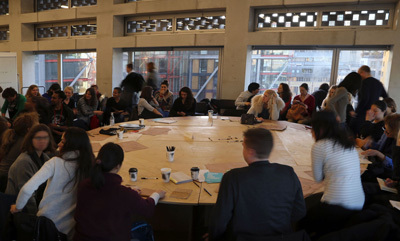 Table 18 featured in The Democratic Table: Round Table Conversation hosted by Anna Kontopoulou and Jana Valencic on 28 November 2016 at the Tate Exchange, Tate Modern. 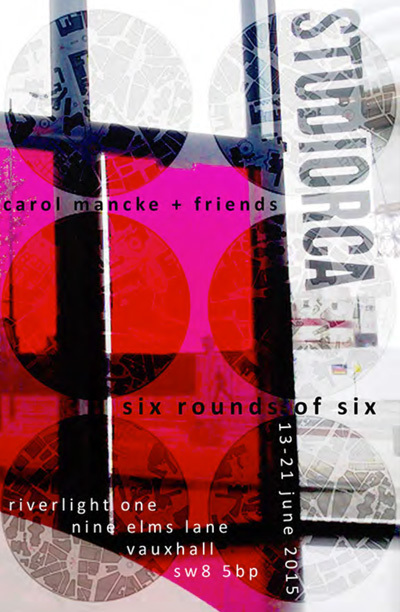 Carol Mancke mobilised Table 18 to host and curate a series of six roundtable events including discussions, readings, workshops, games and collaborative performances. Each event will address a likely, possible, unlikely and/or impossible future for the area around Studio RCA Riverlight. Carol undertook a three-day experiment in Ellesmere Port, Cheshire West, UK as part of her research exploring the intersection of contemporary art practices and the city. Ellesmere Port Boogie Woogie (EPBW) was carried out as part of Nayan Kulkarni’s research project that is developing a unique approach to public art in Ellesmere Port. 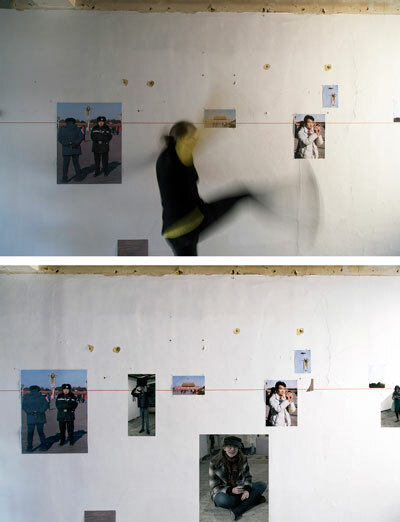 Carol’s installation Can I _____ in Tiananmen Square was part of the group show ARE YOU OK? at the Hanmi Gallery in London. 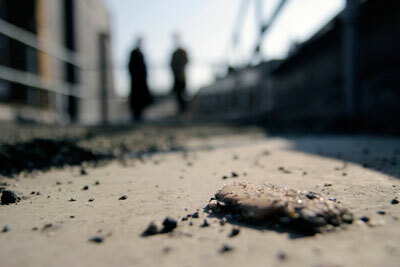 The installation explored the relationship between what Tiananmen Square represents (or how it is remembered) to its present-day physicality reality. Read more about Are You OK? For the group exhibition Contingency Planning held in an abandoned social club in Margate UK, Carol presented Lines in the Sand , a brief narrated moving image juxtaposing a flickering public light in Margate with the City Hall Plaza in Seoul. 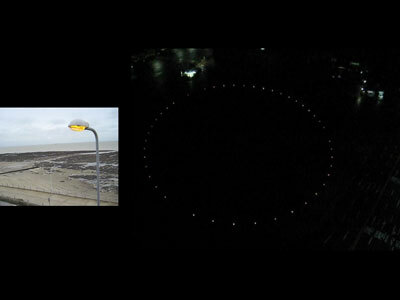 The two images were taken at approximately the same earth time: night in Seoul and early afternoon in Margate. 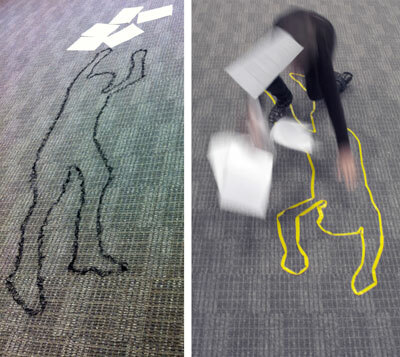 For a group residency at OPEN PLAN, Carol responded to the generic office space and her still unresolved memories of powerlessness working in such environments, making Fallen , a series of three site-specific installations and associated performances. Carol ran a workshop at Uncanny Landscapes ,a week long series of events consisting of workshops, symposia, a conference and exhibition, bringing together artists and academics whose work addresses ‘the ambiguity between subject, object and landscape relations’ organised by PhD researchers Rupert Griffiths (RHUL) and James Thurgill (RHUL) and supported by Landscape Surgery (RHUL) and the Centre for Creative Collaboration. Carol’s sculpture and garden, Heila , was shortlisted for the Denmark High School Upgrade Project.